Hi, I would like to know how to add lyrics on some of the songs that I have upload in the huawei app: music. I do not want to download some specific app, I just would like to copy a text and paste it into the song. Lyrics will show only if they are somehow embedded in the song file - you can't add your own (yet). If you check the pre-loaded "Dream it Possible" (Delacey) song, it has lyrics. 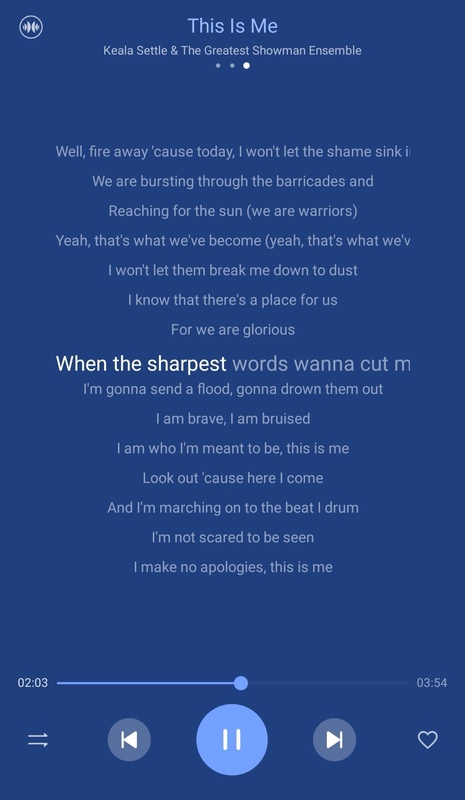 At the moment, the Huawei Music app does not have any such feature to add lyrics. Nevertheless, I will make a note for our developers so this will be considered on a future update. Thank you very much for your suggestion! In the meantime , if you have any other questions or suggestions, please let me know. I find strange what you wrote because when I enter and listen a son in the app "music", I can swipe right and it appear an image of a text with the written:no text... Doesn t it mean that there is the possibility to have a text in that place? Thank you, you re right! You CAN add lyrics to your songs. I have done it for a lot of my songs. It's a bit of a process but you only do it once per song. 2. Search for the lyrics of your specific song on Google and copy the text. 3. Open the app click + and paste the lyrics and tap done. 4. Choose your song at the bottom link where it says 'Tap to select your song'. 5. Once song is loaded press play and get ready. 6. The song will play and here timing is vital. Tap the + button to the right of each line of lyrics when it matches the music. It's kind of like the rhythm games, taping exactly in time with the music when each new line of lyrics is sung. 7. If the timing is not perfect, use the + and - buttons on the left of each line. 8. Tap on the tip at the top right when the whole song is complete. 9. Here you can name final adjustments to the save name and then tap save. 11. Repeat for every track and every album. PS. Please let me know if this works for you ok. There are videos on YouTube if you still need help.